St. John's College (Annapolis, Md.). -- McDowell Hall -- 1970-1980. 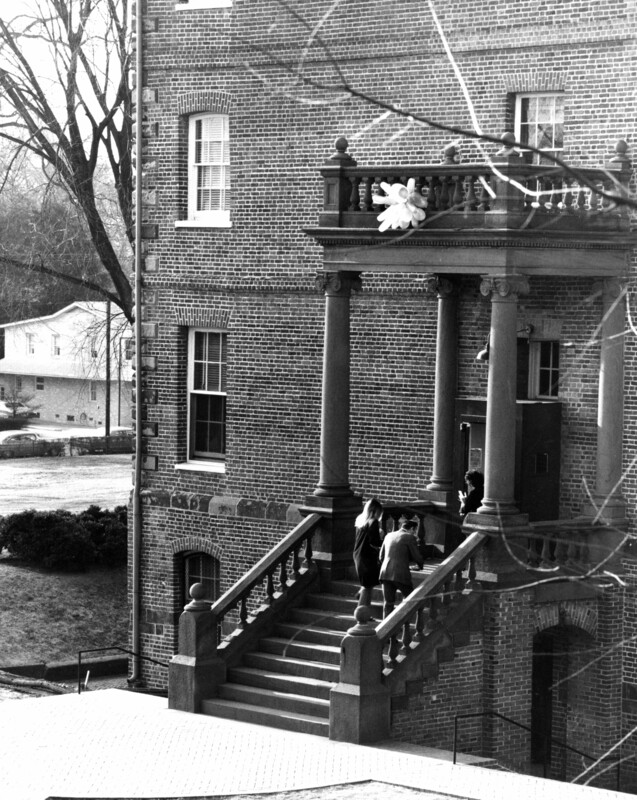 Iorgov, Eugene, “North Portico of McDowell Hall with Balloons and Paul D. Newland Walking up the Steps, St. John's College, Annapolis, Maryland,” St. John's College Digital Archives, accessed April 21, 2019, http://digitalarchives.sjc.edu/items/show/4401.